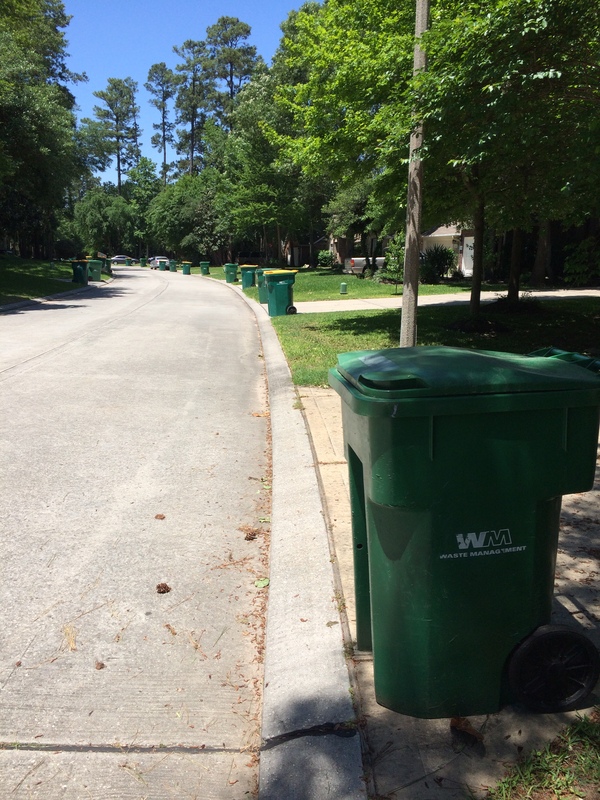 When Tuesday arrives in The Woodlands, Texas that can only mean one thing in my neighborhood! The routine is the same week in and week out. People put all their trash in these wonderful, large, green trash cans with green lids (they even have wheels!!!) and place them by the curb. If we have any recyclable trash we put those items in these large, wonderful green trash cans (with wheels) that have “yellow” lids.